UPDATE (11/05/2018) -: Part 2 has been published and can be read here. The purpose of the Anatomy of the Shoulder series is to help educate our readers about the true function of the shoulder. Such information is key to understanding why certain therapies work better than others and why some do not work on certain individuals. This is the first of a three-part series describing the anatomy of the shoulder. Part 1 describes the bony anatomy of the shoulder girdle and its features that allow us to have a huge range of motion. Glenohumeral joint (this is what most people refer to when they say shoulder). Acromioclavicular joint (or short for AC joint). Sternoclavicular joint (or short for SC joint). Scapulothoracic gliding plane (or short for STGP). The 4 joints together allow a very large range of motion. This is the key purpose of the shoulder. The glenohumeral joint is what people usually refer to when they say ‘ball and socket joint’. The top end of the upper arm (humerus) is shaped like a ball. It is similar to the shape of one third of a sphere to be more specific. However it is not entirely spherical, but rather elliptical. The socket end of the joint is known as the glenoid. Contrary to what some may have been led to belive, the socket does not hold the ball inside the joint. 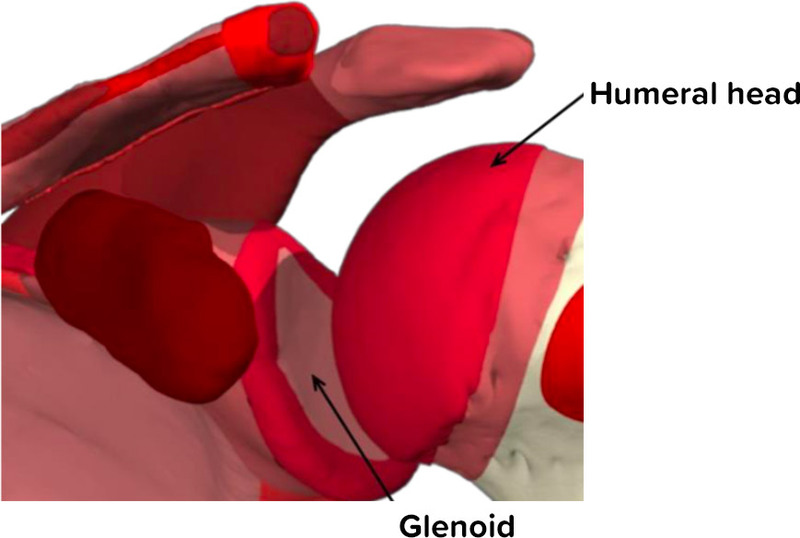 The glenoid is approximately one third of the size of the humeral head and is pear shaped. In addition, the curvature of the two articulating surfaces, the humeral head and the glenoid do not match. The curvature of the glenoid has been found to be approximately 3mm larger than the curvature of the humeral head. This means that the socket curve is bigger than the ball curve so it cannot hold the ball in place regardless of its size. Moreover this mismatch also adds to the naturally unstable nature of the glenohumeral joint. The acromioclavicular joint (AC) is at the top of the shoulder. It is known to act as a pivot point to help the scapula move when raising your arm, especially more so when raising your arm at above head height. The AC joint is unlike the GH joint in that the articulating surfaces are not set in shape from individual to individual. There are large variations from flat joint surfaces to convex-concave and vice versa. It is known that the more surfaces are close to the vertical the more prone they are to wear effects. Thus leading to improper scapula motion and therefore shoulder problems. 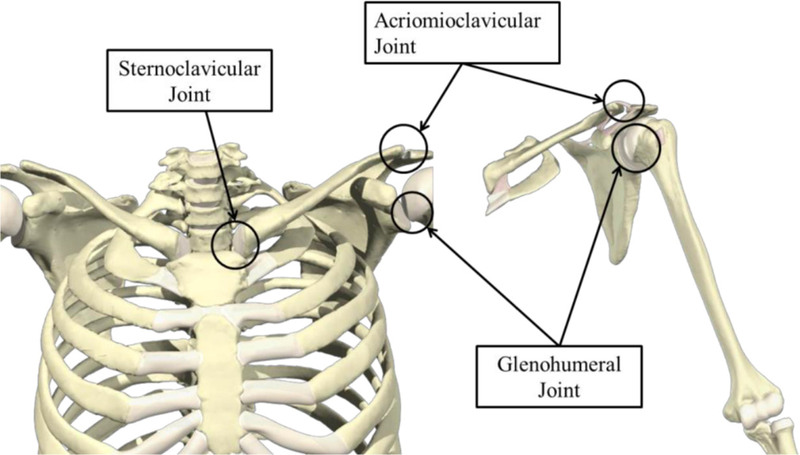 The sternoclavicular joint (SC) is the intersection between the clavicle and the manubrium (sternum or chest bone). It is a saddle type or a double plane type joint. The purpose of this joint is to allow you to move your shoulders and arms especially with some force. It acts as a bony point of attachment for the whole shoulder and arms to the core of your body. The scapulothoracic gliding plane (STGP) is not a typical joint. It doesn’t have a joint capsule or ligaments. Nor does it have articulating surfaces that are coated in cartillage. 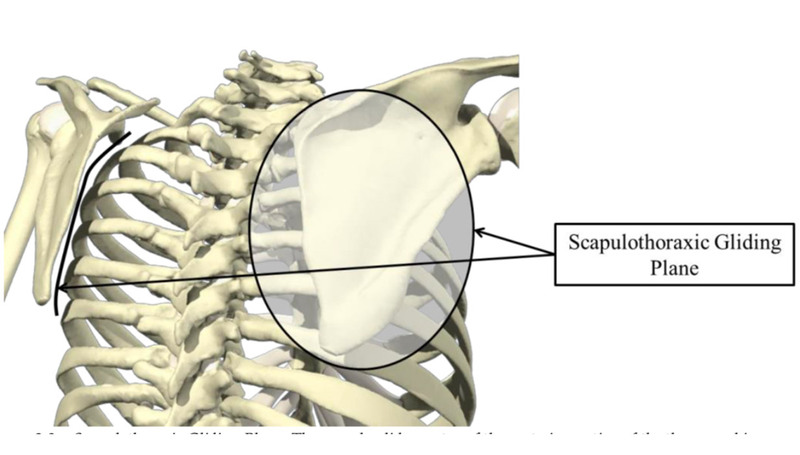 It is the relative movement between the scapula and the thorax. It’s movement or articulation is highly dependant on the AC joint and the SC joint. 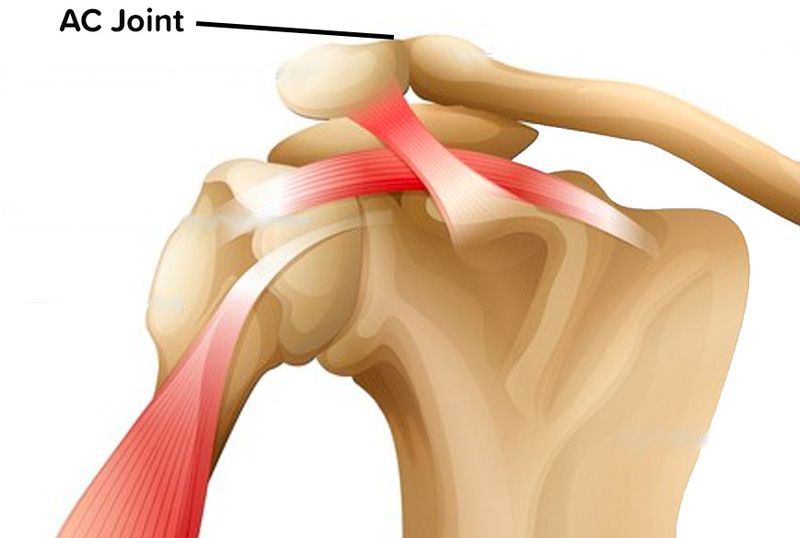 The closed chain of the AC, SC and the STGP provide the shoulder the ability to move. This video by Kristina List describes the STGP really well. Part 1 simply covers the bony anatomy of the shoulder girdle. We hope this article gives you an appreciation of the complexity of the shoulder and why it can be problematic for some shoulder conditions to be diagnosed and treated properly. Part 2 describes the passive soft tissues and structures that surround and are attached at the joints. Part 3 describes the muscles that actuate the shoulder girdle and why it is the most important set of organs for keeping the shoulder stable.